Category: Baskets. 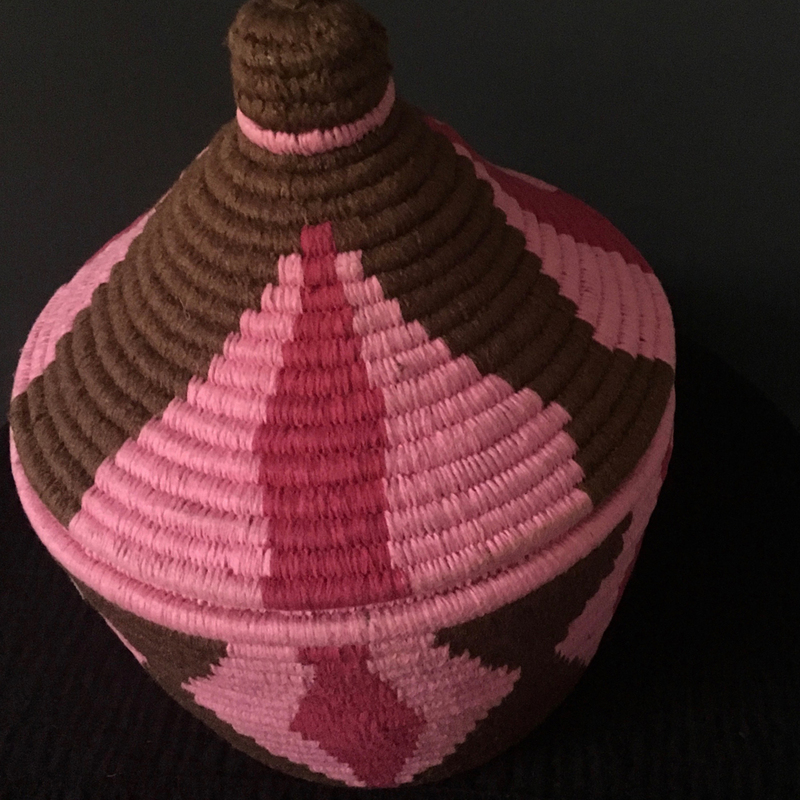 Tags: basket, gift, handcrafted, Moroccan, one of a kind. 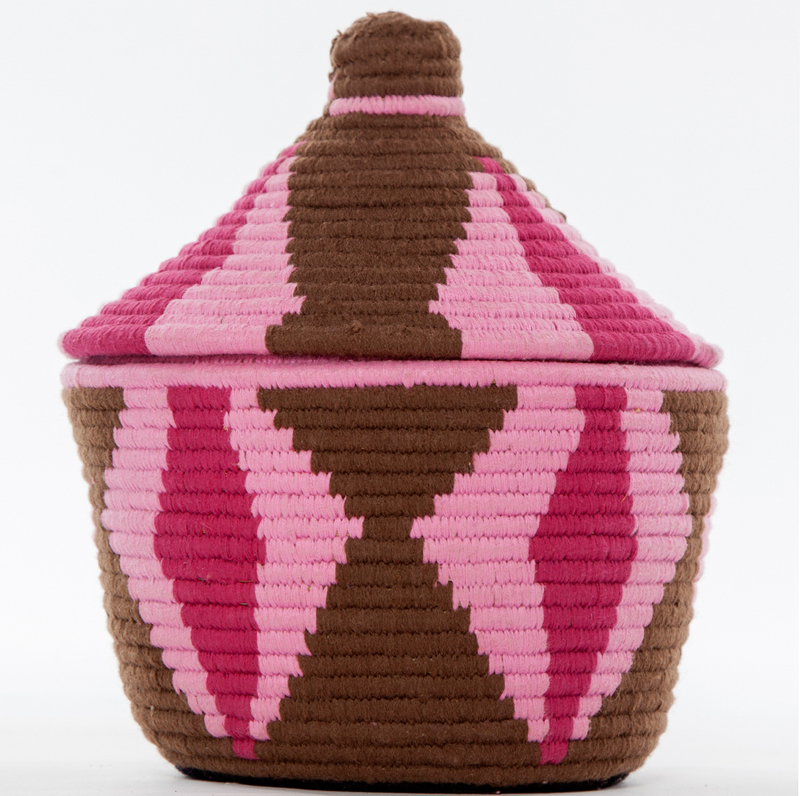 Banish clutter with this hand woven basket which is traditionally used to store Moroccan flatbread, known as khobz. 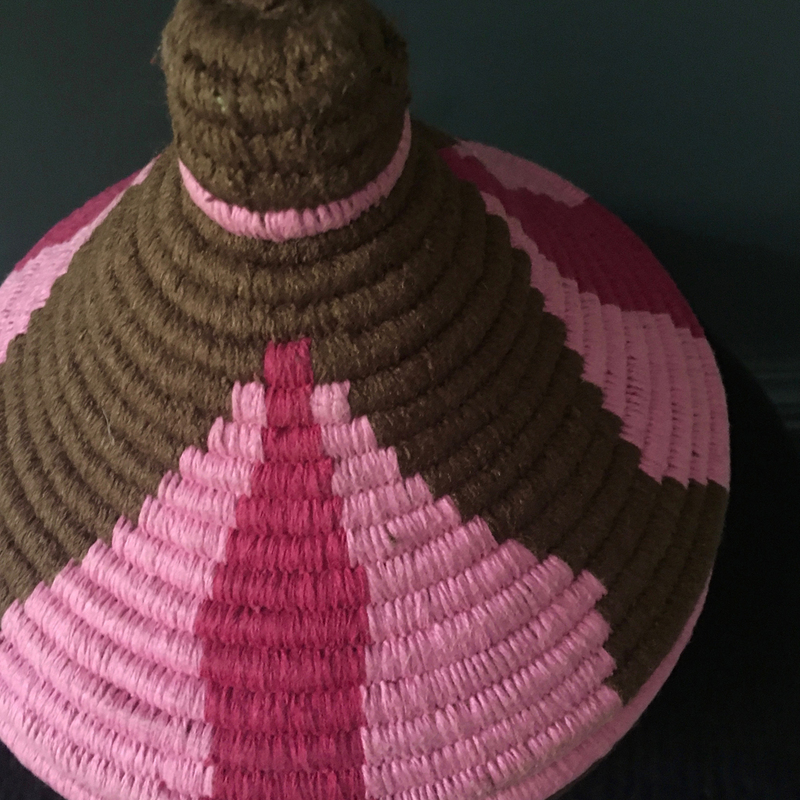 This tajine shaped “tbiqa” has been handcrafted from palm leaf which is then wrapped in wool. The colours and patterns are determined by the individual artisan and no two baskets are the same. Scroll over the images to see the design in more detail. 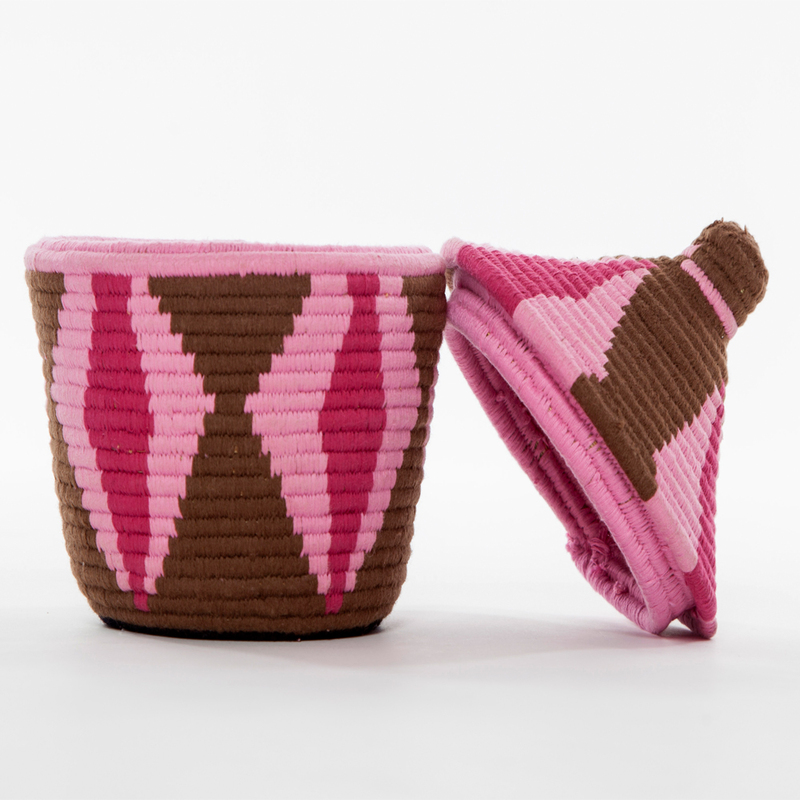 These stylish hand woven baskets are great for storing trinkets and getting rid of clutter. They will add a global touch to your interiors too. Due to the artisanal nature of the basket there may be the odd imperfection but we think this adds to its charm. Dimensions: Height from base to the top of the lid 25cm, width at base 25cm (9.7″ x 9.7″).